This past Friday was date night for Greg and me. With Restaurant Week going on all around us, I’m not too sure why we chose Carrabba’s, but by the end of the meal I didn’t feel like I missed out on much. Between the bread and olive oil, antipasti plate, and seafood salad, I was perfectly happy without true “Charleston” food. 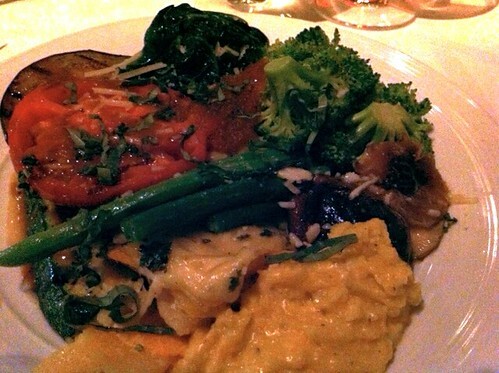 My main entree was the Insalata Johnny Rocco, which has quickly become one of my favorite salads. It’s filled with shrimp, scallops, roasted red peppers, olives and ricotta salata (for those of you like me who didn’t know what this meant, it’s a type of ricotta that has been “pressed, salted and dried.”) So good!! What’s not so good are leftover salad greens that have already been coated in dressing and the juices from the vegetable toppings. Soggy and gross. No thanks. So when I started getting pretty full about half way through my salad (bread and an appetizer will do that to you! ), I realized I needed to strategize. I focused on only eating the greens and other veggies from the bowl. I ended up saving about half of the shrimp and scallops to bring home. Fast-forward to lunchtime on Saturday and the leftovers were calling my name. 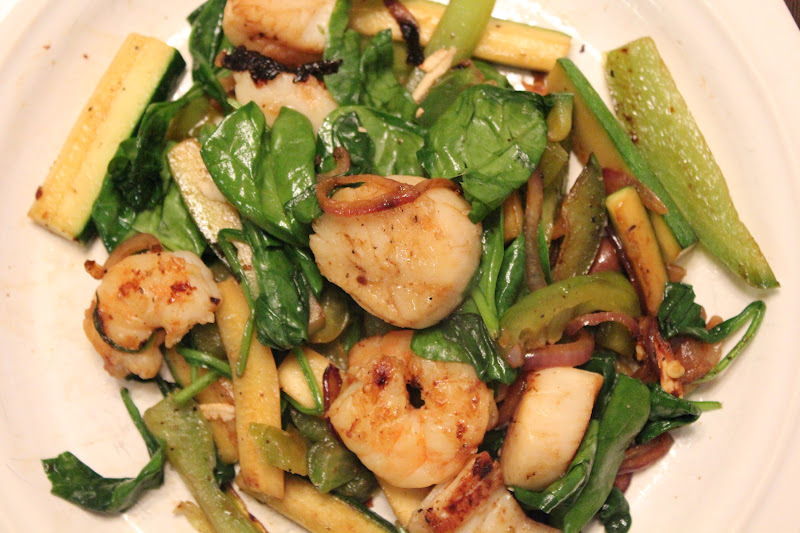 The seafood amped up my usual sauteed veggie plate in this warm seafood salad. 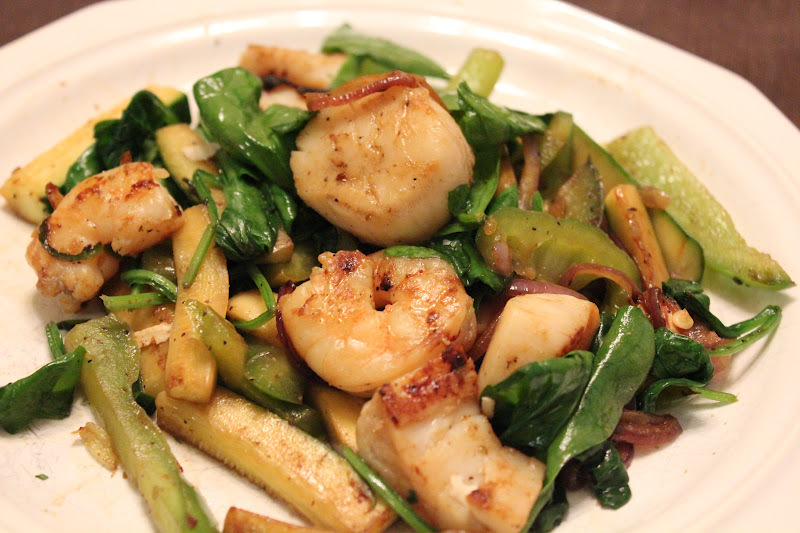 I used completely different vegetables than what the seafood was originally served with at Carrabba’s, so it had a completely different taste. It filled me up almost just as much as the salad at dinner the night before, but I still a room for one or two – ok, two and a half – of my Snickerdoodle Bars. 1. Melt butter on a medium skillet over medium-low heat. 2. 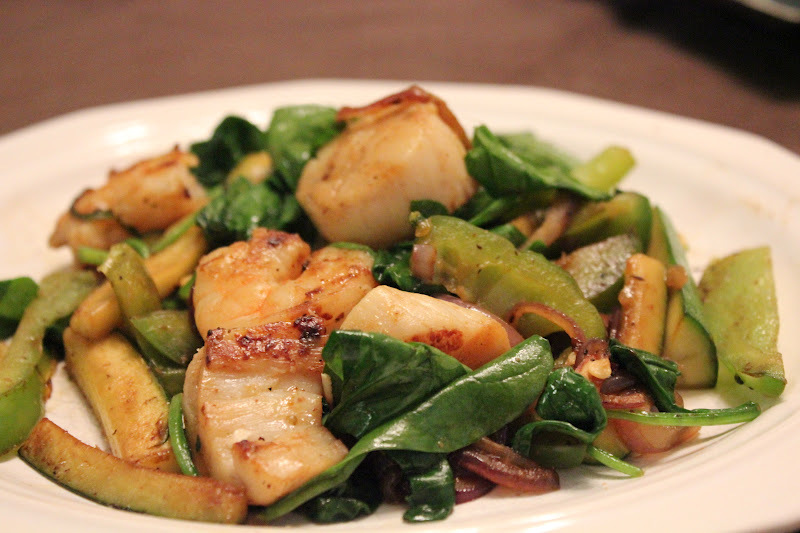 Add shrimp and scallops. Cook for about 3 minutes, flipping occasionally. Add zucchini, onion and beller pepper. Cook another 4-5 minutes, or until vegetables become tender and just begin to turn brown. 3. Turn heat down to low. Add spinach and stir everything together. Cook about 1-2 minutes, or until spinach leaves begin to wilt. Season with salt and pepper and stir one final time. Serve immediately. I have been trying to be as disciplined as possible with sticking to my monthly budget. When it came time to plan dinner for last night, I wanted to use ingredients I already had at home without having to go grocery shopping. Hm…what could I make with canned vegetables, lettuce, a chocolate bar and crackers? Not much. If you can think of something, let me know. I was about to give up and make a run for Publix when I remembered the shrimp in the freezer. Greg and I bought this shrimp straight off the boat a few weeks ago. We cooked some then, but have had another pound or two in the freezer for a rainy day. It wasn’t rainy yesterday, actually it was the exact opposite. Just beautiful outside. But with nothing else to cook, I felt like a downpour could happen any second. This shrimp saved the day. When my mom visited a few weeks ago, she brought me a bag full of Trader Joe’s goodies. 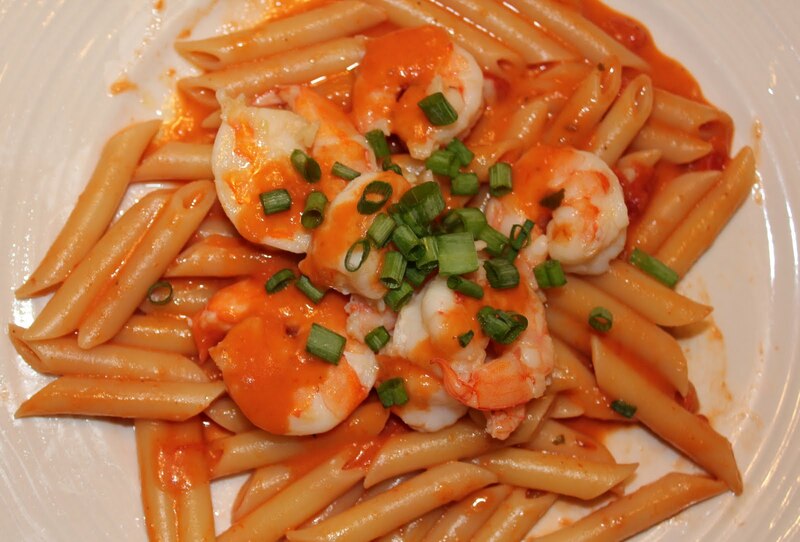 This penne pasta was one of those items and was just what I needed to pair with the shrimp. 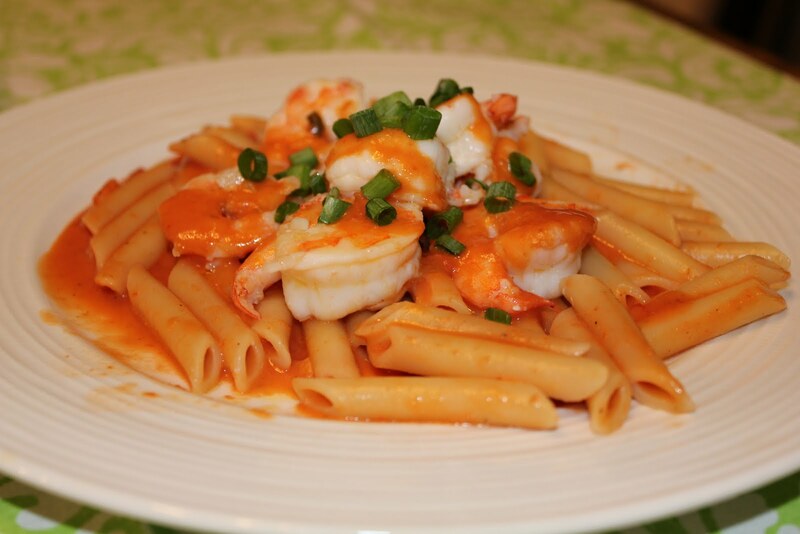 Mixed with vodka sauce and chopped scallions, this dish came together so well. 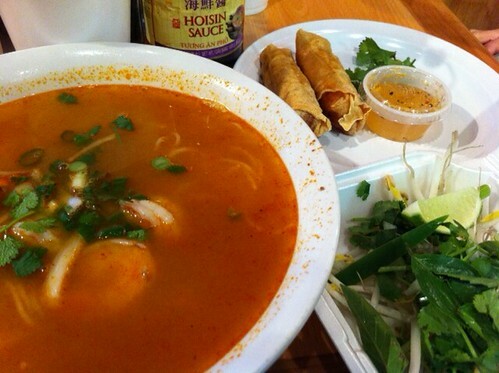 One thing to note–the sauce seemed extra runny. My hypothesis (look at me bringing in the science lingo from 7th grade!) is that since the noodles did not have any texture to them like most pennes do, the sauce was not being absorbed at all. The noodles were very slippery so the sauce didn’t stick. What do you think? Should we conduct an experiment, analyze the data and make a conclusion while we’re at it? And yes, I did just Google the steps to the Scientific Method just to be sure I was saying that correctly. I’m a nerd. 1. Bring medium pot of water to a boil. Add pasta and cook according to package directions (about 8-10 minutes). 2. Meanwhile, heat butter over medium heat on a skillet. Once melted, add garlic to skillet and cook for two minutes. 3. 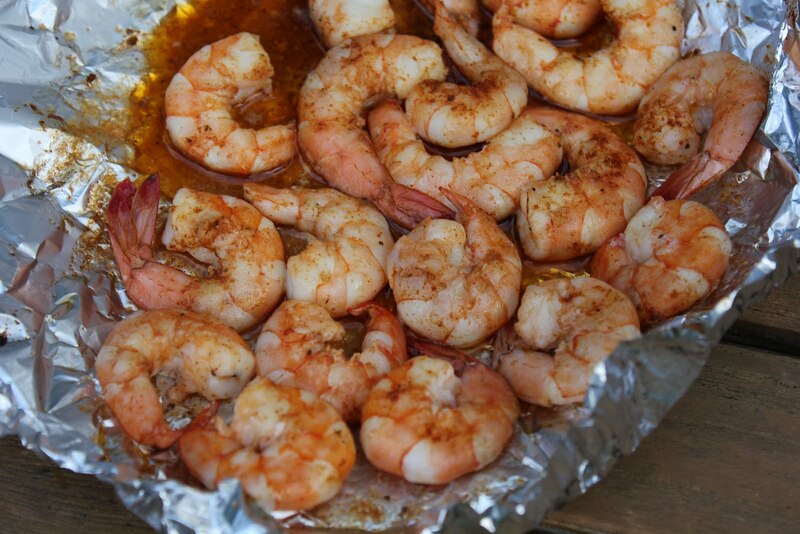 Add shrimp to skillet and cook for about a minute before adding wine and salt. Gently stir and flip shrimp for even cooking. 4. When pasta is done cooking, drain and return to pan. Add vodka sauce to pasta and stir to combine. 5. 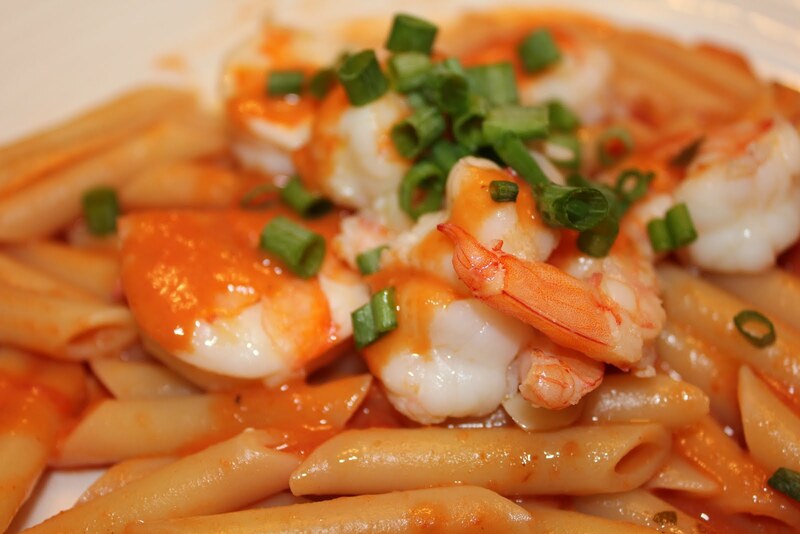 Serve pasta topped with shrimp and scallions. Drizzle with more sauce if desired. *I used penne, but almost any pasta will work–angel hair or tortellini would be great too. Most people that know me probably know I am not much of an “outdoorsy” girl. Camping, hiking, fishing, hunting…not for me. Well, I take that back. I’m not totally against it. I camped out in my backyard a few times growing up. I don’t know that I ever made it outside the entire night though. Does that still count?? Seriously though, I have been camping for real once. In the mountains of North Carolina. And I actually did really enjoy it. Three days was my limit though. I don’t think I would have liked it any longer than that. And I wouldn’t mind going on a nice hike for some exercise, but it definitely would not be my first choice. As for fishing or hunting…….no thanks. I don’t like touching the worms or any other live bait. I don’t like pulling a hook out of a poor fishy’s mouth (or throat!). And I certainly do not like seeing animals suffer from gunshot wounds, not that I ever have in real life. I’ll eat it. But I want nothing to do with getting it from its natural habitat to my kitchen. 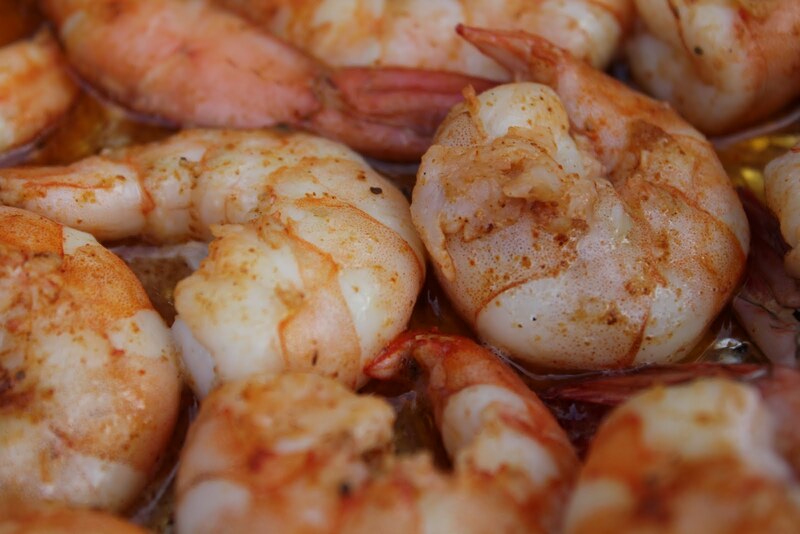 Like this shrimp, for example. Greg and I picked these suckers up straight from the marina as they came off of the boat on Saturday morning. Now that was not my kind of environment. Shrimp were being thrown around and you can imagine the smell. I was happy to hear Greg ask for the shrimp with their heads already cut off. But when we got home and he showed me how we had to “devein” them…Gross. This doesn’t really compare to hunting or even fishing, but it still involved cutting into a previously-living organism. Yeahhhh, I’d rather be shopping. After grilling them for just about two or three minutes on each side, they were good to go. 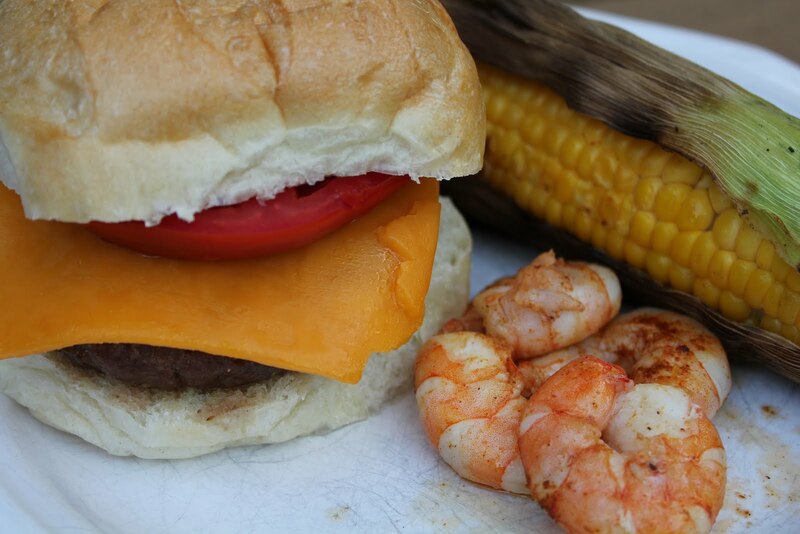 We also grilled some fairly simple burgers (mixed the meat with Worcestershire, onion, jalapeno, and some various spices) and corn on the cob. I topped my burger with a slice of cheddar, tomato and ketchup. You can’t really tell because my cheese is drooping over the side, but I promise there’s a burger tucked in there! Grilling out has to be one of my favorite summer activities. But it can also take a lot of work. That’s why we let someone else do the work and serve us on Sunday for brunch! 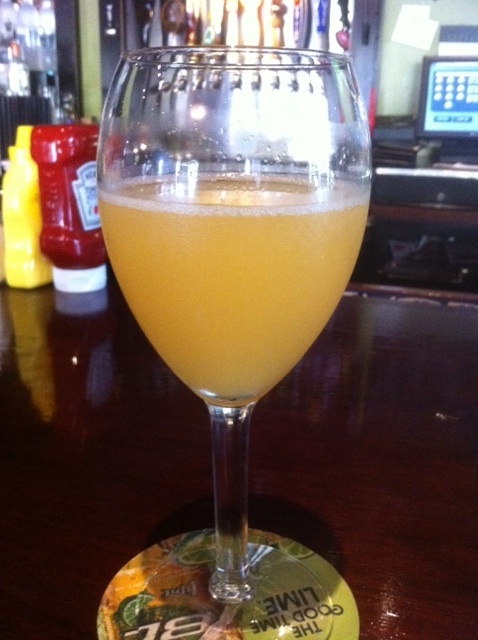 This was actually my first experience with mimosas and it was a success. Not just because they were FREE! Yes, free. This is how they reward you when you pay attention to a restaurant’s Facebook page and see that if you tell your server about something they posted online, you get free drinks! 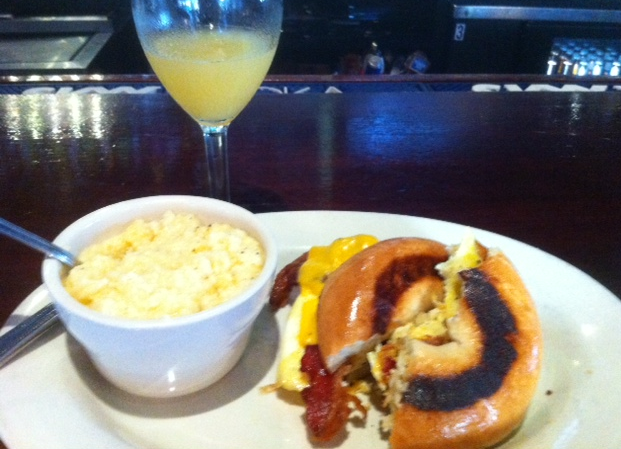 So when I saw that Daniel Island Grill (DIG) was offering free mimosas, I knew where I was headed after church. Please, IGNORE the burnt look of the bagel. I admit, I was a skeptical when I was served too. But one bite later, my worries were gone. This was one of the best bagel sandwiches I have had. The bagel was buttery (just for added health benefits) and filled with egg, cheese and bacon. It came with either potatoes or grits. What kind of Southerner would I be if I didn’t get the grits? Oh yeah…I’m not actually a Southerner. Sorry, I forget sometimes. Every part of this meal was perfect. DIG is one place in Charleston that I might qualify as a regular. We go alllllll the time. But I had never tried their brunch. This was my first time, but will not be my last.